The game features combat in a variety of formats, such as kicking and using fireballs to repel monsters in scrolling stages, a system during one-on-one duels against Tusk Soldiers or a pair of martial arts tournaments where the player must attack a mark that appears on their opponent's body, or defend the area when it appears on them (this system is similar to Culture Brain's original Flying Dragon for the NES), and RPG-style command battles against monster bosses. When confronted by a Tusk Soldier or other otherworldly villain, Rick can change into a costumed superhero form or switch with one of his teammates. 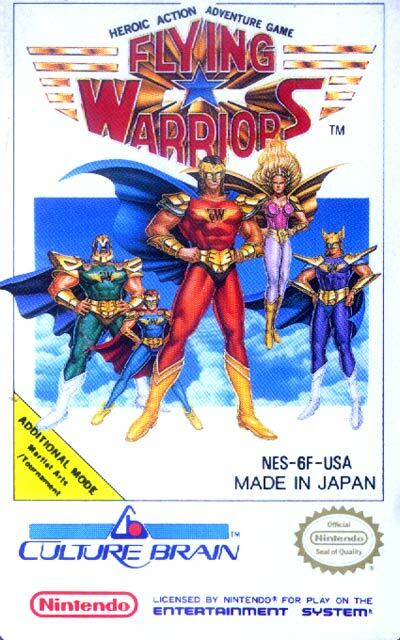 The player must switch to Flying Warrior form to use the characters' magic powers and defend themselves from the Tusk Soldiers' magic spells.